The attention in the choice of the barrique that contains the product, the feeling of the gesture and the emotions felt during the extraction of the content aim to be shared through the experience of this package. The cylinder that protects and adorns the traditional bottle is placed on the bottom to leave the upper space to the air, just like a barrel. The parchment, expression of the act of knowledge and identification, is firmly held together with precious metal, just like the wooden staves are held together by the metallic rings of the barrel, recreating the tactile feel of lightly uneven level differences, given by the choice and the thickness of the materials used for the packaging. Finally, the free cork pourer, which requires the same typical ritual of the barrel sampling. 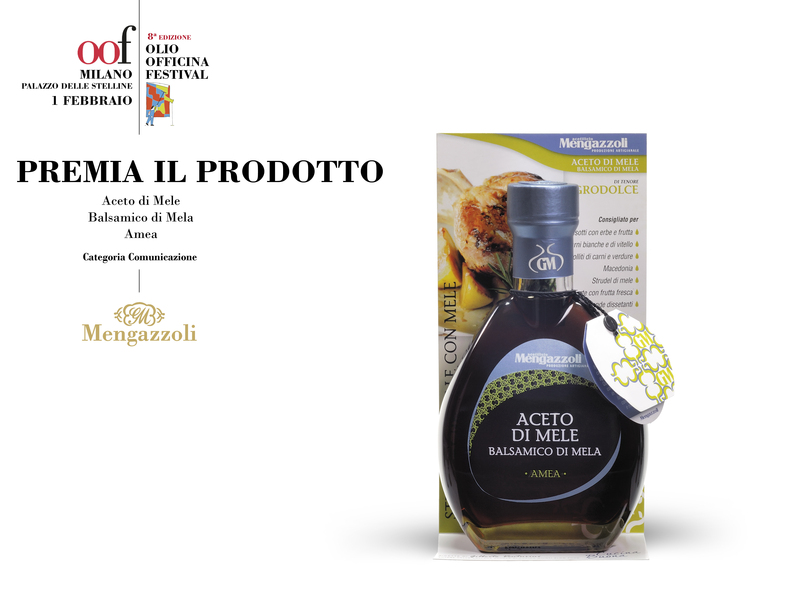 We are grateful to the panel of Le Forme dell’Aceto of Olio Officina for gratifying our efforts, so difficult to convey were it not through intense emotions to be shared with a gift. Wait…What is this? What is it for? How can I use it? I’ve got to go, the shop is about to close! Years of production, care, attention and obstacles for a product still too little known and still too complex to be explained. And this is our “attempt”! 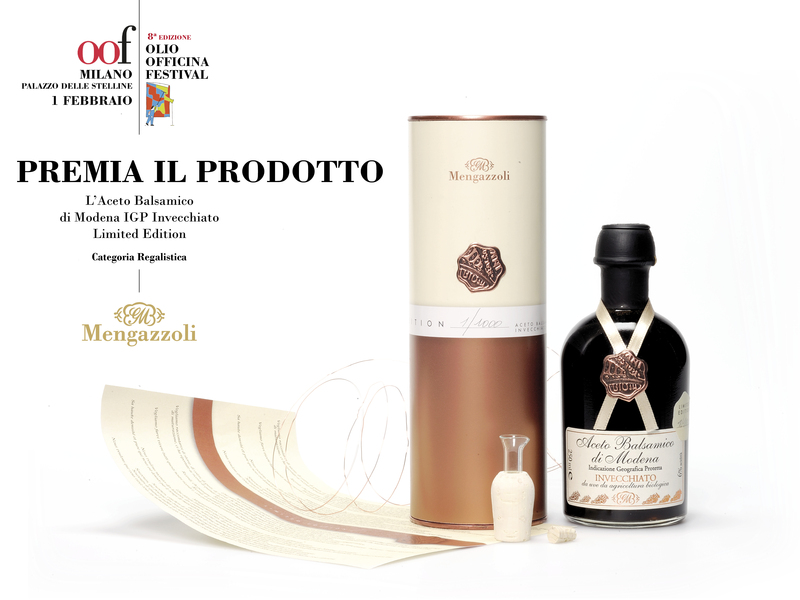 We have decontextualized the product from the expository series and highlighted information, knowledge and culture, without limiting the visibility of the bottle studied to appreciate the characteristic colour and the slow fluidity of the product. Clear and immediate information for an independent and aware decision while choosing the product at the shop, thus without depriving the consumer of their time. The free choice to examine, study, taste and later to use the product, in a private space, in an intimate dimension, comfortable and relaxing at the same time, possibly with the help of a discrete informative support accessible through the QrCode, through which the consumer and the producer have the possibility to share information.